Founding partner John F. Parker, Jr., established the Florida office of Phillips Parker Orberson & Arnett, PLC in 2013. 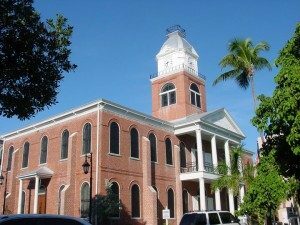 The Florida office is located in Key West and serves clients throughout Florida. Several national clients that John had developed throughout his career expressed an interest in expanding his practice to South Florida area. John’s established civil defense litigation practice provides the experience and expertise for general litigation matters for all aspects of civil litigation, as well as business and corporate interests in Florida. John brings decades of connections to the Keys, including years of sailing, scuba diving, and fishing. He is a United States Coast Guard licensed captain and has sailed throughout the Florida Keys and Bahamas over the last 20 years, having crossed the Gulf Stream more than a dozen times. He is a member of the Castle Harbor Sailing Club in Coral Gables, Florida and is a member and former Commodore of the Louisville Sailing Club.